"My prayers go out to Tattoo Bill's Family along with the..."
William G. Thigpen "Bill" CHARLOTTE - William Guy Thigpen, owner of Tattoo Bills passed peacefully Friday, March 29 at the age of 74. Bill was born April 13, 1944 to the late Guy Thigpen and Nell Kirkendoll in Aiken County, S.C. 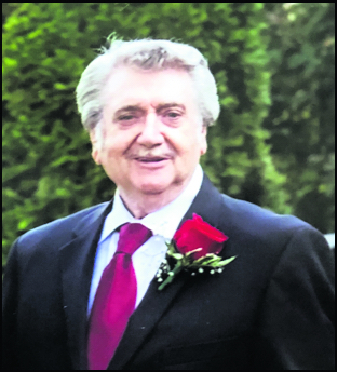 He was a dedicated husband, father, papa, business owner and friend. His gentle heart and vibrant persona will be missed. He is survived by his wife Sandra of 53 years; his brother, Donald Thigpen; four children, Kenny (Belinda) Thigpen, Denise (Anthony) Cunningham, Frank (Jan) Thigpen, Chris (Rhea) Thigpen; 8 grandchildren; 3 pups; numerous nieces, nephews, co-workers and friends. As a child, Bill dreamt of becoming a tattoo artist like his father and grandfather. Bill was a former Marine, police officer and worked 29 years at General Tire. After retirement, Bill made his dreams reality. He created a family-friendly establishment that would break the stereotype traditional tattoo parlors hold. In October 1999, he opened Tattoo Bills. Bill's interest in automobiles followed him to his garage. In his free-time he loved to work on his 57' Chevy. He also appreciated a quality sound system and clean rims. His personality stood out in a room and so did his shoes. He will be remembered for his tattoos, awesome cars and hilarious jokes, but above all, his sweet smile and remarkable character A celebration of life service will be held at Central Steele Creek Presbyterian Church Sunday, April 14 at 3 p.m. Rev. Dr. John Earl will officiate. Online condolences can be left on his memorial tribute at bostonsmortuary.com. In lieu of flowers, please send donations to the at https://www.shrinershospitalsforchildren.org/shc. The family would also like to give thanks to his nurse and special friend, Dorris "Dollie" Steele for her utmost care and dedication.